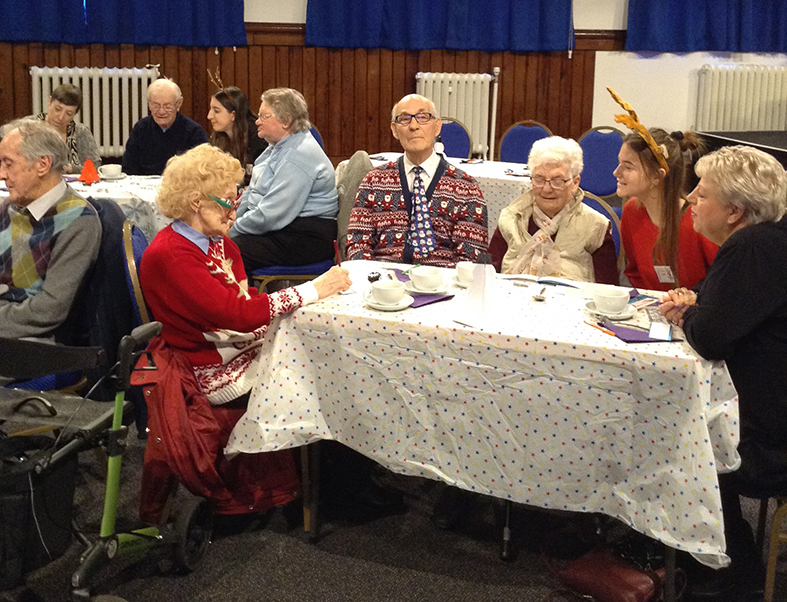 Travel and Tourism students from QE have once again spread festive cheer to older members of the local community by organising a Christmas party at the College. Sixty-five invitees attended the event and several organisations were involved including Darlington Town Mission, Ventress Hall Care Home and Abbeyfield House. Students provided guests with a light lunch and entertainment before pupils from Dunn Street Primary School, Jarrow, concluded the afternoon with a carol concert and reading of ‘The Christmas Truce: The Place Where Peace Was Found’ by Hilary Robinson, the story of the Christmas Day truce observed by soldiers on the World War I battlefields. Nancy Wall, Course Leader for Travel and Tourism, explains: ‘The event has become an annual occasion and students benefit greatly from working with the older generation. They share stories of their own Christmas traditions and are able to celebrate together. It is important to remember that Christmas can be a very lonely time of year for some people and everybody can do their part to help to reduce this feeling of isolation’.